Commercial Metal Exchange has been a Steel Distributor for over 25 years. 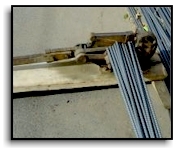 All Forms: Rod, Bar, Plate, Sheet, Coil, Strip, Tube. Hard to find grades, tempers, and sizes. Small orders and small quantities welcome! MANY SIZES AND FORMS AVAILABLE – PLEASE CALL!! Call or fax us for pricing! This page has been visited 22165 times.